Are Cindy Crawford and Kaia Gerber having some sort of secret competition? It sure seems that way as the mother/daughter duo continues to dominate the fashion world. Kaia just signed on as the face of Saint Laurent Beauty, currently fronts Vogue Paris and is the face of Moschino, Versace and Karl Lagerfeld this season. 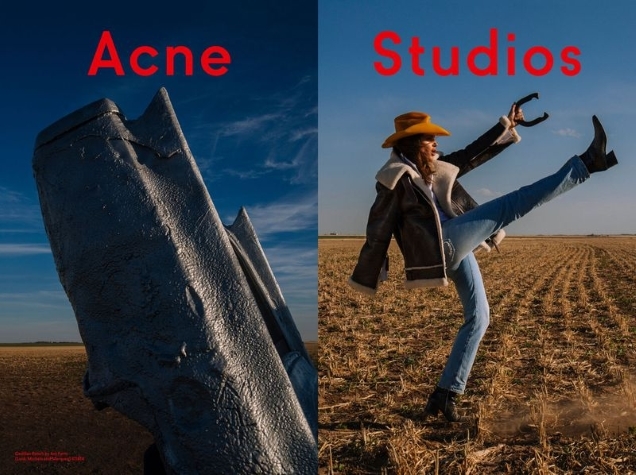 Meanwhile, Cindy reminds us she’s still in the game by returning to the cover of Vogue Spain 30 years after her first appearance and is now unveiled as the face of Acne Studios. Photographed by Sam Abell, the original 90s supermodel was shot at Cadillac Ranch by Ant Farm in Amarillo, Texas for the western-inspired Fall 2018 advertising campaign. The collaboration didn’t seem to resonate with the majority of our forum members, unfortunately. “Cindy, please stay home and stop being overexposed, because you don’t have IT anymore,” slammed dontbeadrag after checking out Cindy’s latest. “It’s a brand for Kaia not her mother, it has ‘Acne’ in the brand name for God sake,” said chanelh. 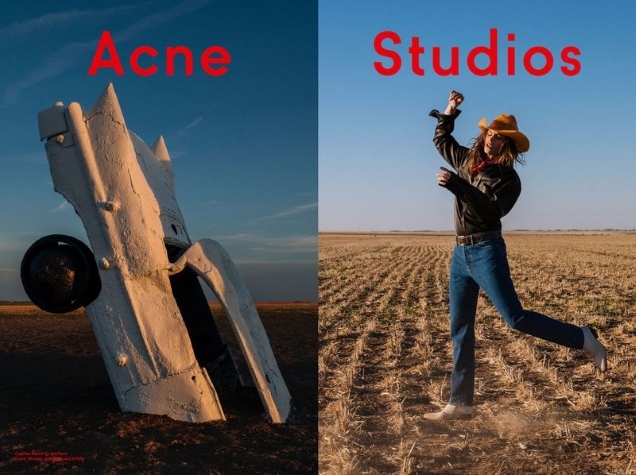 “One of the worst Acne campaigns ever,” said Perickles. “OMG Cindy has become so annoying, right? The pictures are not bad, but her presence is so impertinent and a bit random IMO, I would never associate Acne clothes with her,” stated ghostwriter10549. Although not everyone dismissed the campaign. “Completely unexpected and I must say it works. Cindy is the model to do 90s Americana,” defended dodencebt. Like what you see? Share your thoughts on the campaign here.